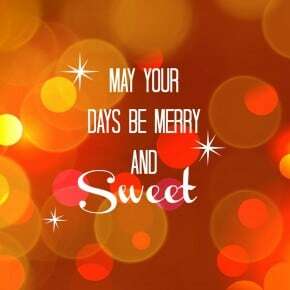 I’m starting to really feel in the Christmas spirit…and a spirit is exactly what i’m sharing with you today (like how I made that a double entendre?) with this Nutcracker Cocktail. 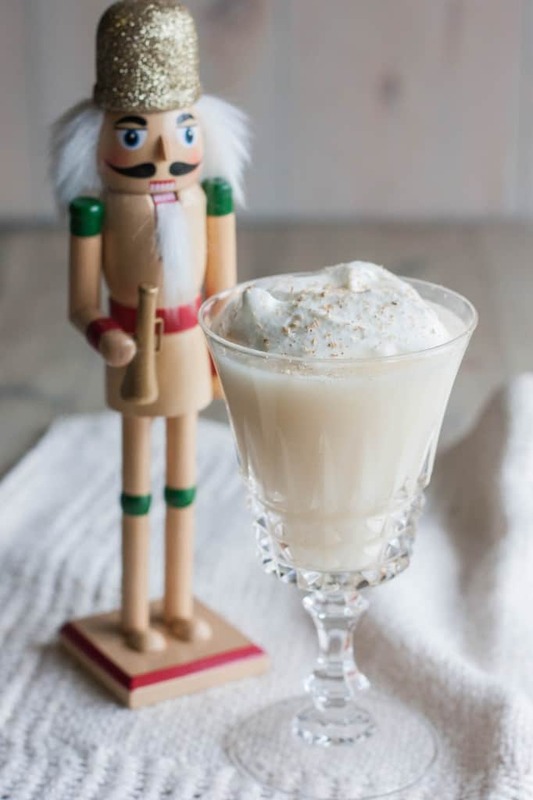 It has elements that just conjure up winter and holidays: rich nutty flavor from the frangelico and almond milk, and then topped with whipped cream making it white and snowy looking! 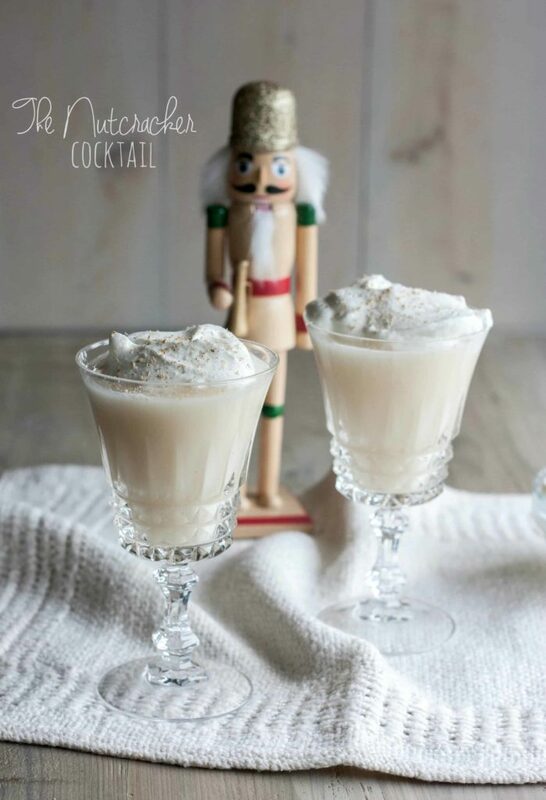 This is such a fun Christmas cocktail that adults are sure to fall in love with! I have so many fun Christmas things I’m sharing this week that I’m dubbing it ‘Christmas Week’ on the Sweetphi blog…like these little Graham Cracker Houses from yesterday…did you see them? I have them on display and keep walking by them and just stopping to stare at how cute they are. But honestly, that’s the only decoration I have out. Which is not very good, considering this weekend my husband and I are hosting our annual cookie and cocktail exchange. I need to get moving…but maybe after a few cocktails, mmmk? In all honesty, I can chalk this recipe up to recipe testing for the party, right? It’s kind of a big deal. 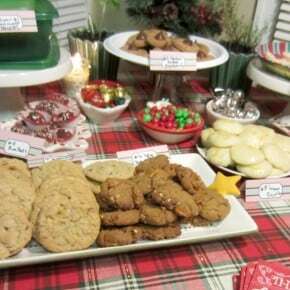 Every year we have 30 or so friends and family come into our tiny house (it’s suuuuuper small, but cozy, right/) and we exchange cookies and cocktails, there’s voting and prizes involved…and I’m totally going to be making this, because it was absolutely delicious! And the best thing is that these Christmasy cocktails only take a few minutes to make. 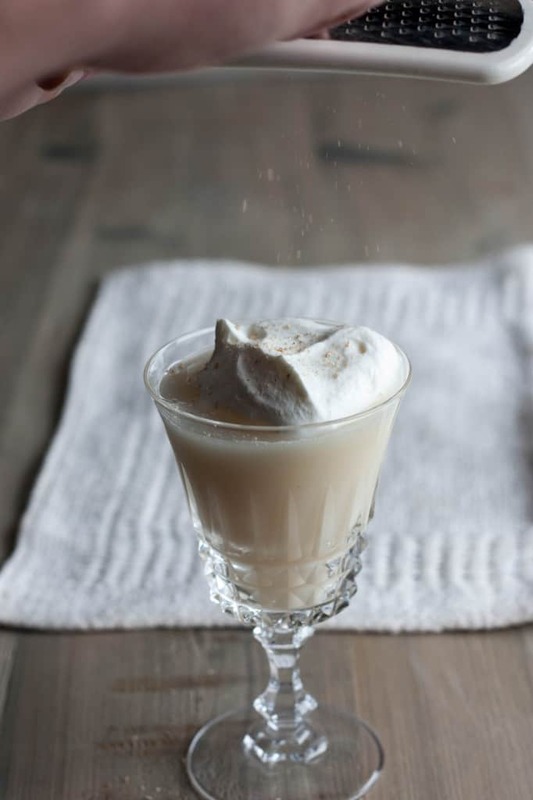 You pour frangelico, cake vodka, and almond milk in a shaker, add some ice and shake, and then pour into a glass, top with whipped cream and grated nutmeg and you’re all set…a total of like 5 minutes to this deliciousness! I thought this picture was so cool, you can see the nutmeg being grated..it looks like falling snow! And then see what it looks like all up close and personal? So there you have it: the nutcracker cocktail! Measure out almond milk, pour into a cocktail shaker, measure frangelico and add to cocktail shaker, then measure and add vodka to the cocktail shaker. 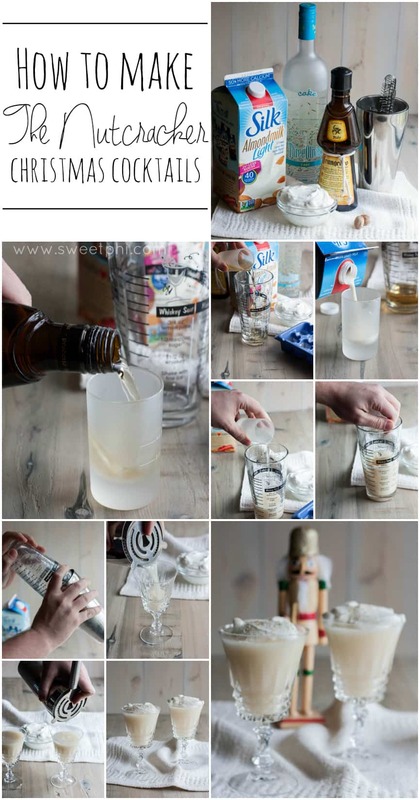 Add the ice and vigorously shake for 1 minute. Pour into two glasses. 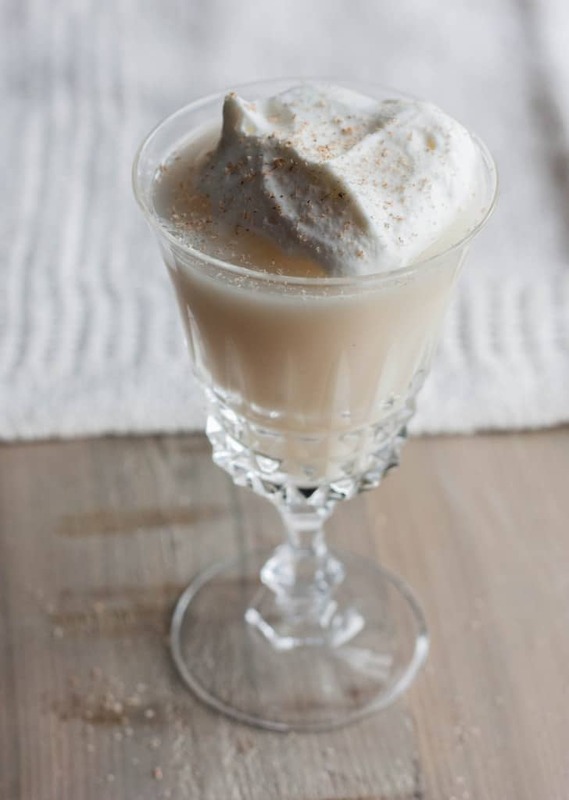 Top with whipped cream (2 Tbs each) and then grate nutmeg over the whipped cream, enjoy!